I’m so excited to share with you my natural beauty product spotlight this month! ACURE is an all around natural, certified organic, vegan, sustainable beauty line that not only is a very low health risk concern product according to the scientists at the Environmental Working Group (EWG’s ACURE SCORE), but it’s products are just A-MA-ZING in so many ways. Today I want to focus on their shampoo line. For a long time now I’ve been educating myself on the names of ingredients on the back label of our products and researching what they mean. 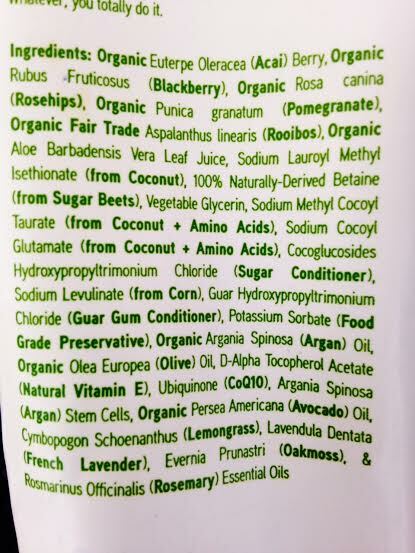 Yes, I’m that girl that spends hours in the shopping aisles reading every single ingredient, with my phone out, googling what these fancy words on the back of our products actually mean. What’s so great about ACURE is that next to one of those fancy words, that requires you to be some crazy chemist to understand, is the laymen term in bold parenthesis for us concerned natural beauties! I love a company that is transparent! The more willing they are to display their ingredients, the more you know how proud they are of the ingredients that they are using in their product. Besides the transparency of their ingredients, what impressed me the most about their whole hair care line is that they are 100% biodegradable! Meaning, what washes down your drain after a shower is friendly to the fish. Trust me, I’ve read the back of a lot of “all natural” products, but very few are completely harmless to our environment as well. I’m about to put a fat cherry on top of the cake for you. Are you ready? The shampoo and conditioner only cost $9.99! What?! You can’t find anything this cool for this affordable. Who said being all natural had to be expensive?! And yes, it works. It’s color safe for those of you who dye your hair. They have different shampoo types with a variety of natural ingredients for different hair types. For example, The shampoo that I use (shown in the picture above) is the Lemongrass + Argan Stem Cell. It’s for all hair types but what I love about it is that the Organic Argan Oil, Argan Stem Cells + CoQ10 help support hair keratin and strengthen the follicle connection. The Organic Avocado Oil provides vitamin B12 and moisture while lemongrass cleanses and clarify. For my fine and brittle hair this is a great combination. I know you are just dying to see where you can get your hands on this product! Go to ACURE’s online store locator and find their products in a store near you! 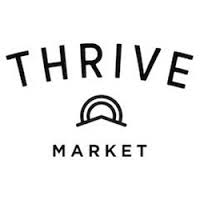 Check out Thrive Market! It’s kind of like an online Costco for natural products including food, beauty, health, and home goods! The yearly membership cost is nothing compared to the savings if you buy any of the products they carry regularly. And for every membership purchased, Thrive donates a membership to a low income family. Acure shampoo and conditioners are only $5.45 each!! And you get free shipping on all orders over $50!